The highest priority when selecting a low code development platform is to obviously make developers happy. After all, if developers don’t enthusiastically embrace a platform they are not going to be nearly as productive. There are, however, additional important considerations when selecting a low code platform that need to be taken into account; including how flexible the underlying architecture is, how secure the low code platform is, and how easily can the organization’s culture adapt to it. The success of any development project inevitably comes down to processes and execution. One of the primary reasons an organization adopts a low code platform in the first place is because they make it simpler for developers and end users to collaborate. Instead of having developers create applications in isolation, end users get to share their perspective as before, during and after the code is being written. That level of collaboration results not just in an application that end users like, it also creates a process they want to own. That’s why it’s critical to not just rely solely on the opinion of the developers when selecting a low code development platform. Organizations need to think long and hard about which low code platform best fits their culture. 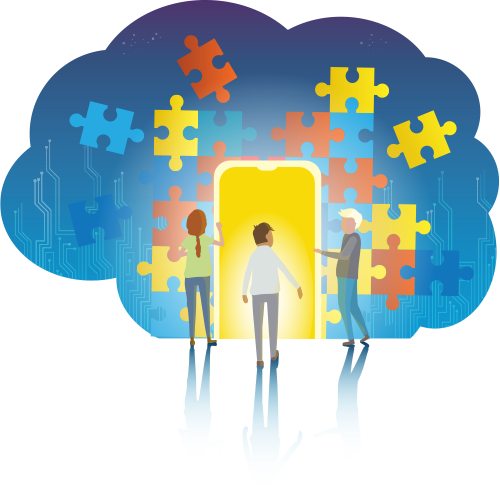 Once an organization determines which low code platforms best fit their culture, there are, however, other key factors that need to be considered as well. Most organizations, for example, don’t always know where they will need to develop application code next. Most application development today may be occurring in an on-premises environment. But the next set of projects could be developed on a public cloud. Organizations need to be sure the low code development platform they select today meets their needs today and tomorrow. Finally, organizations need to carefully evaluate what best practices are baked into the platform. If those practices are, for example, overly prescriptive than some organizations may discover to their dismay that the platform they selected is a bad fit for their organization. Does the organization prefer to host an application in the cloud or in an on-premises environment? Is the application so critical to business operations that it must always be available? How will the development, testing, acceptance, and production (OTAP) pipeline be organized? What level of integration will be required for various types of projects? What controls need to be implemented to ensure security and data privacy? Which design patterns and development rules will need to be applied? Only when the right architecture, infrastructure, security, and best practices are combined an organization be able to truly realize the full benefits of adopting a low code platform. Of course, when it comes to selecting a low code platform the right choice from a Mansystems perspective is going to be the Mendix platform. With more than ten years of experience building a wide range of innovative applications on this platform we most recently created the IOT Academy Partner. Couple that with 25 years of experience in IT automation, and it’s clear we’re a partner that can be relied on to build and deploy applications that can run anywhere at any time. There is no question pertaining to the Mendix platform that we can’t answer. We can even function as a one-stop shop that provides all the licenses needed to deploy Mendix software. Because we’re also ISO certified, we can also assist customers with their data security issues. Our solution architects think about IT architectures, integration, user experience, infrastructure, high availability and backup and recovery all day and every day. That’s why Mansystems is one of the top Mendix Expert Partners on the planet.